Escape Tamilnadu Temple is the new point and click escape games from ajazgames, Tamil Nadu is a beautiful state from India located in South India, its capital is known as Chennai, here enjoy the hidden fun games and hidden objects, all the best, wish you good luck, have fun playing escape games, free escape games, new escape games, best escape games, first escape games, online escape games and great escape games from ajazgames. 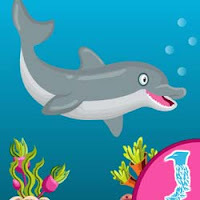 Escape Ocean Contour is then new point and click escape game, here escape ship by releasing anchor and find the hidden objects, have fun playing the hidden fun games by solving the clues and escape, all the best, best of luck, have fun playing escape games, free escape games, best escape games, hidden games, first escape games, best escape games from ajazgames. Escape Seedling Afforest is the new point and click escape games, collection of seeds for afforestation and breeding purpose, here find the seed to grow the plant, find the hidden fun games, hidden objects, solve puzzles and make a small plant to grow, all the best, wish you good luck, have fun playing escape games, new escape games, free escape games, online escape games, best escape games, first escape games and great escape games from ajazgames. 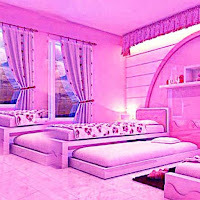 Escape Blushpink Room is the new point and click escape games from AjazGames, pink a beautiful color, this room is full painted with wonderful pink colour all over the walls, bedrooms and even toys, you are locked inside the beautiful rooms, try to solve the puzzles and find the clues for the great escape, wish you good luck, all the best, have fun playing free escape games, new escape games, best escape games, great escape games, online escape games from ajazgames. Escape Royal Manor Queen is the new point and click escape games from ajazgames. The earliest known palaces were the royal residence of the kings and queens. 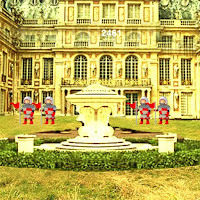 help the queen to slip away as from the confinement or restraint to regain liberty, find the key to decamp, solve puzzles and find the clue, good luck, have fun playing, have fun playing escape games, free escape games, new escape games, best escape games, great escape games, online escape games from ajazgames. Escape Crocky is the new point and click escape games from ajazgames. crocodiles are large aquatic reptiles that live throughout the tropics in Africa, Asia, Americas and Australia, although they appear to be similar to the untrained eye,crocodiles, alligators and the gharial belong to separate biological families. 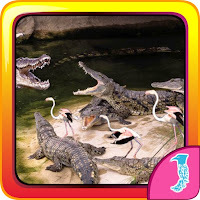 escape the baby elephant from the crocodiles, have fun playing escape games, free escape games,new escape games, best escape games, great escape games from ajazgames. 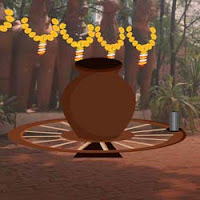 Escape Maattu Pongal is the new point and click escape games from ajazgames. 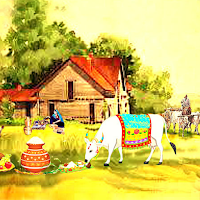 Maattu Pongal is the third day of the four day pongal festival. 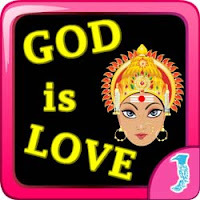 Though the name of the festival is specific to TamilNadu, in India, it is also celebrated it in other southern states such as Andhra Pradesh and Karnataka. An important village sport, called the Jallikattu it is the day when fierce bulls were chased by young youths of the village to retrieve the money that was tied to the horns of the bulls. get the bull ready to around, all the best, wish you good luck, have fun playing escape games, free escape games, new escape games, best escape games, great escape games, point and click escape games from ajazgames. 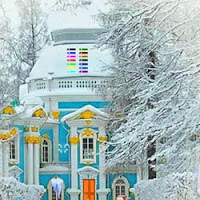 Escape Ornate Citadel is the new point and click escape games, stuck in the grand residence, especially the royal residence, you want to escape, try to solve clues and puzzles to find the key, wish you good luck, all the best, have fun playing escape games, free escape games, online escape games, new escape games, best escape games, cool escape games and point and click escape games from ajazgames. 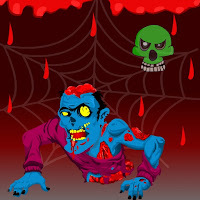 Escape Y this Kolaveri is the new point and click escape game from ajazgames. snakes are legless, carnivorous reptiles of the suborder serpents that can be distinguished from lizards by their lack of eyelids and external ears. living snakes are found on every continent except Antarctica and on most smaller land masses. 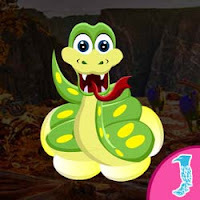 find the eggs of the mother snake and help it hatch next to mother snake, all the best, good luck, have fun playing escape games, point and click games, free escape games, new escape games, best escape games, great escape games, cool games from ajazgames. Escape Century 2017 is the new point and click escape games from ajazgames. New year is the time at which a new year calendar year begins and the years calendar increments by one, many cultures, religions ,countries celebrate the event in some manner. 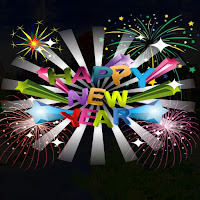 here 2017 new year celebration is on in this game, break the fires for the new year celebration, have fun finding clues and fires for this new year 2017, all the best, wish you good luck, have fun playing escape games, free escape games, new escape games, online escape games, best escape games, greatest escape games, point and click escape games from ajazgames. 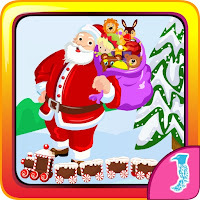 Escape Affection Christmas is the new point and click escape games from AjazGames. 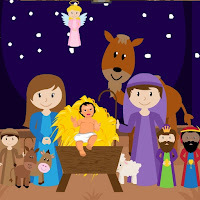 Find the people around the crib including baby by solving puzzles and using different clues. All the best,wish you good luck,have fun playing escape games,free escape games,new escape games,best escape games,online escape games and point and click escape games from ajazgames. Escape Reservoir Aquatic is the new point and click escape games from ajazgames. An aquatic animal is an animal, either vertebrate or invertebrate, which lives in water all of its life, it may breath air or extract its oxygen from that dissolved in water through specialized organs called gills or directly through its skin.Find the missing dolphin. all the best, wish you good luck have fun playing this different fish game in aquarium have fun playing escape games, free escape games, online escape games, new escape games, best escape games and point and click escape games from ajazgames. Escape Kuyavar Crock is the new point and click escape games from AjazGames. 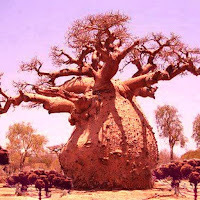 In India traditional way of making pots, its a kind of culture called kuyavar home and they make mud pots for Pongal celebration in India, these mud pots is healthy way of cooking during celebration or function. Prepare new pot by finding clues and solving puzzle. All the best, wish you good luck have fun playing escape games, new escape games, free escape games, online escape games, best escape games and point and click escape games from ajazgames. 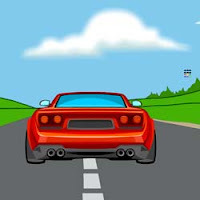 Escape Clunker is the new point click escape games from ajazgames, a car is a four wheeled, self powered motor vehicle used for high power transportation and sporting speed for fun, lost your keys, find it by solving puzzles and clues, All the best ,wish you good luck have fun playing escape games,free escape games,new escape games,best escape games, online escape games and point and click escape games from ajazgames. Escape Grimalkin is the new point and click escape games from ajazgames. One of the big cat family is leopard, leopards are graceful and powerful they don’t hunt people they need only food, save your friend from the spotted coats by giving leopard with food it likes, all the best way, wish you good luck, have fun playing escape games, point and click escape games, free escape games, new escape games, online escape games and best escape games from ajazgames.